DAVID JUNKIN illustrates another great story for Seven Days Vermont. 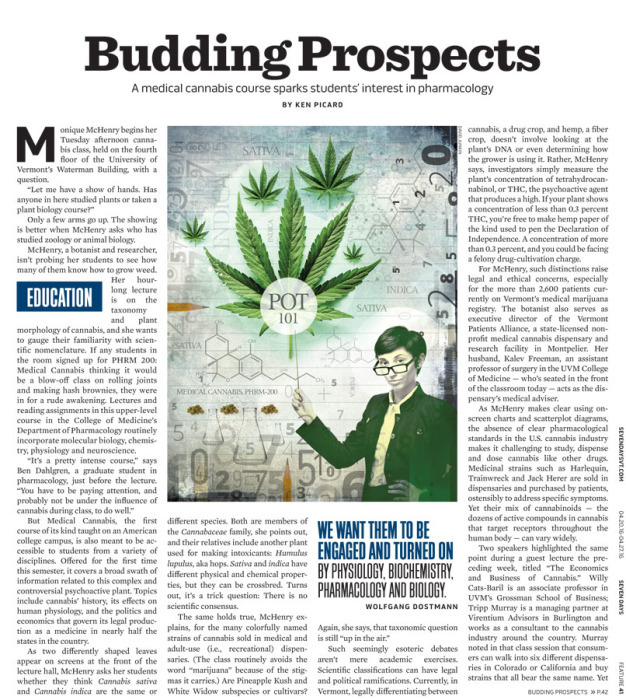 This piece called “Budding Prospects” is about how the University of Vermont (UVM) is offering a medical cannabis course, sparking students interest in pharmacology. The “Medical Cannabis” class is the first course of its kind being offered anywhere on an American college campus. 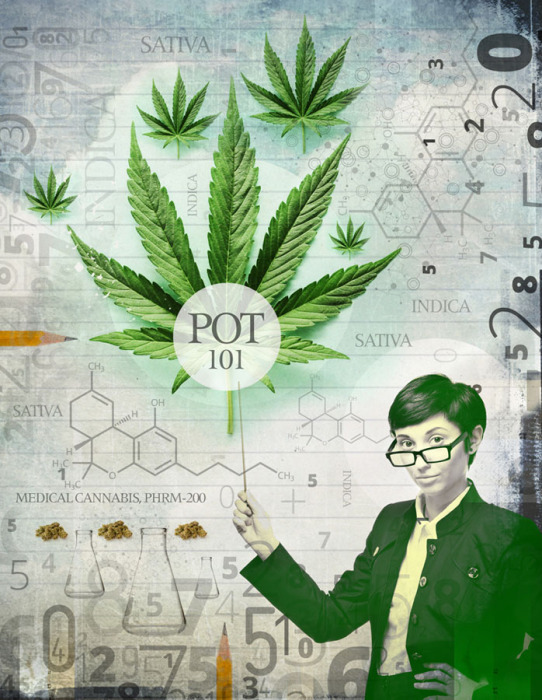 The Cannabis class is firing up an interest in Science!